Laboratory research has long demonstrated the disruptive effects of background sound to task performance yet the real-world implications of such effects are less well known. We report two experiments that demonstrate the importance of the role of rehearsal to a novel call center-type task. In Experiment 1, performance of a novel train timetable task-in which participants identified four train journeys following presentation of train journey information-was disrupted by realistic office noise. However, in Experiment 2, when the need for rehearsal was reduced by presenting the information and the timetable at the same time, no disruption occurred . Results are discussed in terms of interference-by-process and interference-by-content approaches to short-term memory. In the present study, we evaluated peripheral and central auditory pathways in professional musicians (with and without hearing loss) compared to non-musicians. The goal was to verify if music exposure could affect auditory pathways as a whole. This is a prospective study that compared the results obtained between three groups (musicians with and without hearing loss and non-musicians). Thirty-two male individuals participated and they were assessed by: Immittance measurements, pure-tone air conduction thresholds at all frequencies from 0.25 to 20 kHz, Transient Evoked Otoacoustic Emissions, Auditory Brainstem Response (ABR), and Cognitive Potential. The musicians showed worse hearing thresholds in both conventional and high frequency audiometry when compared to the non-musicians; the mean amplitude of Transient Evoked Otoacoustic Emissions was smaller in the musicians group, but the mean latencies of Auditory Brainstem Response and Cognitive Potential were diminished in the musicians when compared to the non-musicians. Our findings suggest that the population of musicians is at risk for developing music-induced hearing loss. However, the electrophysiological evaluation showed that latency waves of ABR and P300 were diminished in musicians, which may suggest that the auditory training to which these musicians are exposed acts as a facilitator of the acoustic signal transmission to the cortex. Worker's compensation for hearing loss caused by occupational noise exposure is calculated by varying methods, from state to state within the United States (US), with many employing arithmetic formulas based on the pure-tone audiogram, to quantify hearing loss. Several assumptions unsupported or weakly supported by empirical data underlie these formulas. 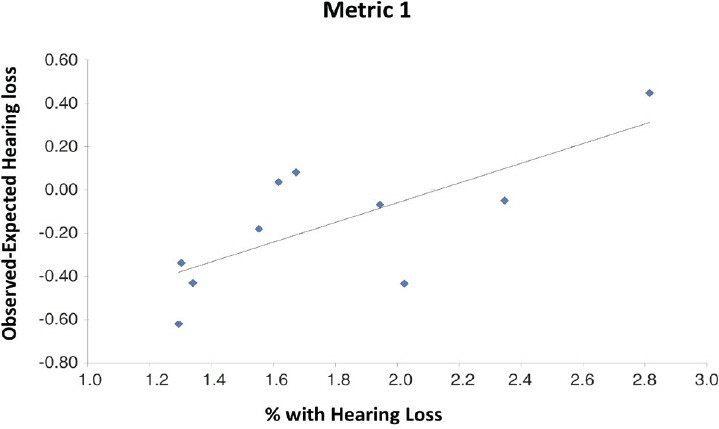 The present study evaluated the ability of various arithmetic hearing impairment calculations to predict a self-reported hearing handicap in a sample of presenting with sensorineural hearing loss. 204 adults (127 male, 77 female) ranging in age from 18 to 94 served as participants. The sample was selected to exclude patients who had been referred for hearing testing for a medicolegal examination or a hearing conservation appointment. A hearing handicap was measured by the Hearing Handicap Inventory for Adults/for the Elderly (HHIA/E). The covariance analysis of linear structural equations was used to assess the relative strength of correlation with the HHIA/E score among the six formulas and various forms of pure-tone average. The results revealed that all the hearing impairment calculations examined were significantly, but weakly, correlated with the self-reported hearing impairment scores. No significant differences among the predictive abilities of the impairment calculations were evident; however, the average binaural impairment assigned differed significantly among the six calculations examined. Individuals who demonstrated 0% impairment had significantly lower (i.e., better) HHIA/E scores compared to those with non-zero impairment for each formula. 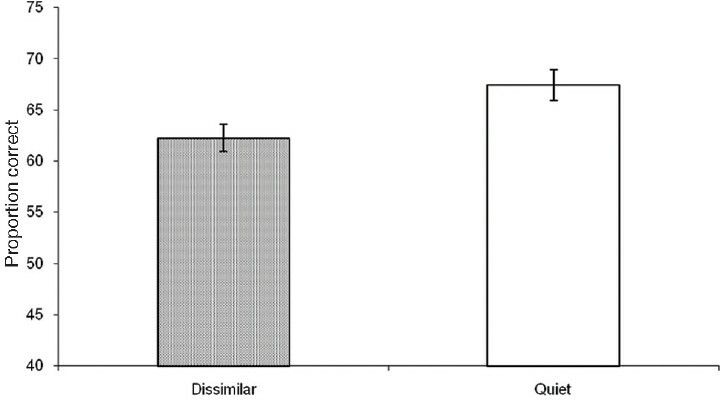 These results supported the idea that audiometric data provided an insufficient explanation for real-world hearing difficulties. Occupational hearing loss is one of the most prevalent occupational conditions; yet, there is no acknowledged international metric to allow comparisons of risk between different industries and regions. In order to make recommendations for an international standard of occupational hearing loss, members of an international industry group (the International Aluminium Association) submitted details of different hearing loss metrics currently in use by members. We compared the performance of these metrics using an audiometric data set for over 6000 individuals working in 10 locations of one member company. We calculated rates for each metric at each location from 2002 to 2006. For comparison, we calculated the difference of observed-expected (for age) binaural high-frequency hearing loss (in dB/year) for each location over the same time period. We performed linear regression to determine the correlation between each metric and the observed-expected rate of hearing loss. The different metrics produced discrepant results, with annual rates ranging from 0.0% for a less-sensitive metric to more than 10% for a highly sensitive metric. At least two metrics, a 10dB age-corrected threshold shift from baseline and a 15dB nonage-corrected shift metric, correlated well with the difference of observed-expected high-frequency hearing loss. This study suggests that it is feasible to develop an international standard for tracking occupational hearing loss in industrial working populations. Noise-induced hearing loss (NIHL) is a frequent problem in industrial settings, especially where a high noise level is present. It is permanent, and irreversible, but preventable. Routine audiometry (an objective and time consuming) test is used for NIHL screening. Otoacoustic emissions (OAEs) are recently proposed as a more sensitive test for early diagnosis of NIHL. In this study, we aimed to compare the results of pure tone audiometry (PTA) with OAE in the diagnosis of NIHL. 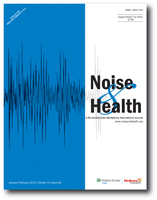 In a cross-sectional study on 120 workers (in three groups: Not exposed to noise, exposed to noise without NIHL and exposed to noise with NIHL), we compared the results of PTA and OAE. OAE can detect some changes in the function of hearing system in subjects exposed to noise, and these changes are apparently prior to hearing loss, which is diagnosed by PTA. OAE is a more sensitive method for the early diagnosis of cochlear damage than PTA, and can be performed in industrial settings for NIHL screening. Workers in certain industries (e.g., agriculture) do not participate in a hearing conservation program and rarely receive this important preventive care. The National Institute for Deafness and Communication Disorders (NIDCD) has published a questionnaire to assess a person's need for medical examination of their hearing. The use of a self-administered questionnaire may pose a simple, low cost opportunity to assess the hearing health of workers not included in a hearing conservation program. However, the validity of the NIDCD questionnaire has not been tested. A study was conducted to compare the results of audiometric screening and the NIDCD questionnaire in identifying persons at risk for hearing impairment who may benefit from a medical referral. Data were collected from 103 farm operators at a regional farm show. 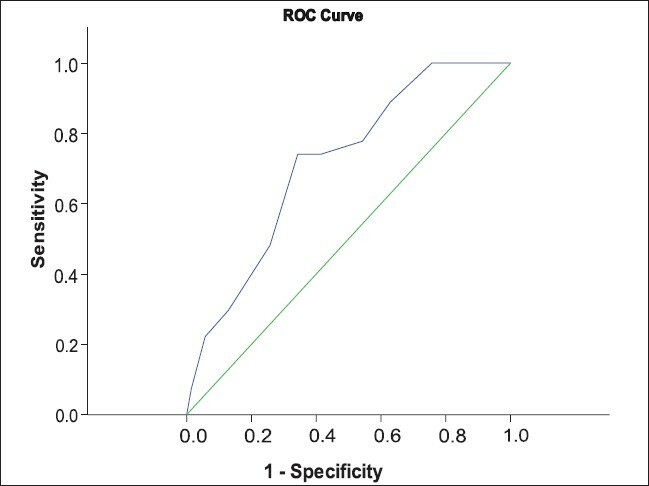 Receiver-operator characteristic curves, measuring the ability of the questionnaire to correctly classify those with and without the disease suggested that the level of performance of the questionnaire as a whole, ranged from 0.74 to 0.69 (fair to poor). However, selected questionnaire items (e.g., Do you have to strain to understand conversations?) had moderate agreement (0.38 to 0.41) with screening audiogram results. Overall, the 10-item instrument did not perform as well as instruments with fewer items reported in separate studies. These findings suggest that, while less desirable than audiometry, alternative self-administered instruments might perform the better in this group. This approach may be useful as an alternative screening method to detect risk of hearing loss and identifying the need for medical evaluation of hearing sensitivity, particularly among farm operators. Crandell et al., reported that education programs such as hearing conservation programs (HCPs) represent the most common and well-recognized procedure in reducing the incidence of noise-induced hearing loss (NIHL). The purpose of this study was to assess the effectiveness of an HCP in changing knowledge and attitudes toward exposures to high intensity sounds or noise among adolescents aged 12-14 years. Local middle school students in physical education classes were recruited for participation. Sixty-four middle school students between the ages of 12 and 14 received pre- and post-test measures and participated in the HCP. 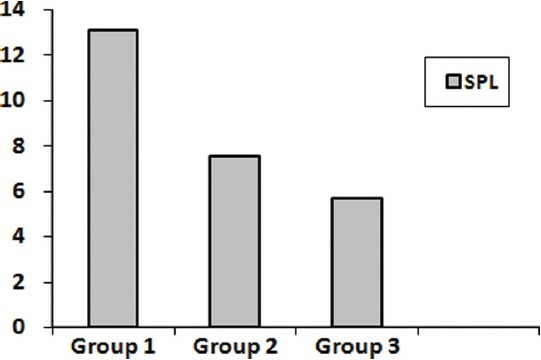 The pre-test measure had 24 questions that included 5 demographic questions and 19 Likert-type questions [modified from the Youth Attitude to Noise Scale] that assess adolescents' attitudes towards noise; and a post-test measure included the identical 24 questions of the pre-test measure in addition to three subjective questions. A Wilcoxon signed rank test and a Two-Factor Analysis of Variance were completed to assess changes in knowledge and attitudes toward noise among the study population after receiving the HCP. A statistically significant reduction (P< 0.003) in pro-noise attitudes among the adolescents was present after the intervention. 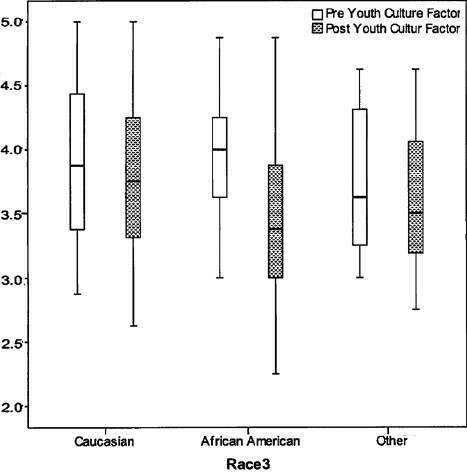 It was established that an HCP facilitated a change in pro-noise attitudes among adolescents. Further, the students thought this program facilitated learning of the auditory system and healthy hearing behaviors.